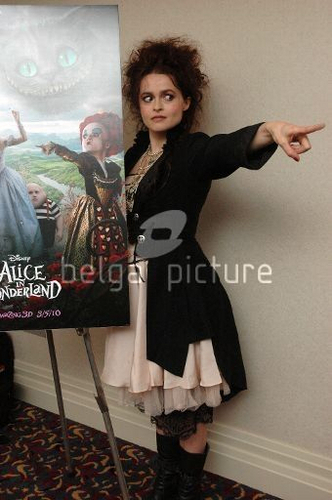 Helena. . Wallpaper and background images in the Alice in Wonderland (2010) club tagged: alice in wonderland helena bonham carter the red queen queen of hearts. This Alice in Wonderland (2010) photo might contain well dressed person, suit, pants suit, pantsuit, sign, poster, text, chalkboard, outerwear, and overclothes.